The North Shore isn't a developed resort destination. If that's music to your ears, read on! Maui’s North Shore is less developed, less crowded, has cooler days, and is in a more natural state than the popular resort areas of South and West Maui. With a rich agricultural history, the North Shore is now primarily residential with large multi-acre lots. Celebrities and the ultra wealthy live side-by-side with multi-generation Hawaiian families. Stunning views, uncrowded beaches and an eclectic collection of unique and interesting folks dot the landscape. Much of the land and virtually all of the oceanfront property is protected from significant development, and there are strict zoning laws that prevent the sprawl and population density found in the more popular visitor destinations. Since development is restricted here, you won’t find any large hotels or resorts. Lodging options are much more down-to-earth: you can rent a house or vacation rental, or stay at one of only three small boutique hotels. 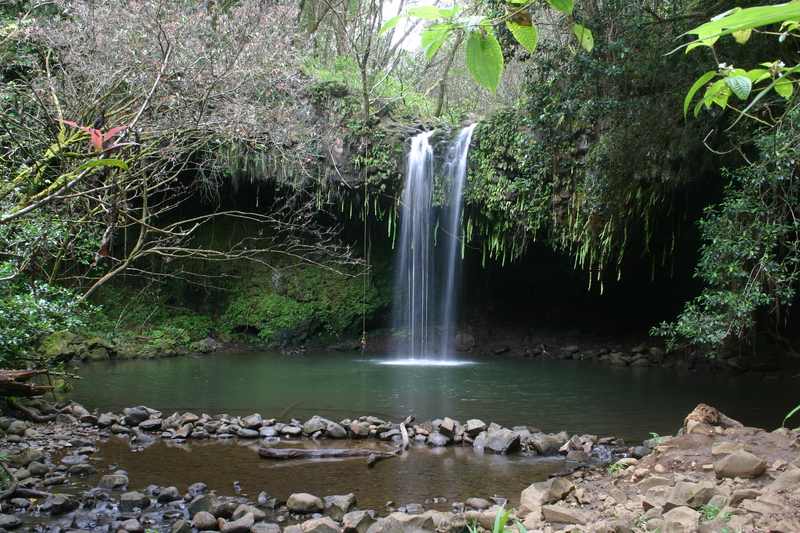 The North Shore is strategically located for visitors to conveniently explore the natural sites and attractions on the Road to Hana and Upcountry Maui, while also being close to world-class beaches. Avid hikers, adventurers, beachcombers and surfers won’t run out of things to do no matter how long they stay on the North Shore. The North Shore is also quite centrally located, and since the island is relatively small, it is also located within moderate drive times to the rest that Maui has to offer. The first thing to know (and this applies to any location you choose to stay) is that those who love nature, hiking, sightseeing, exploring and adventure will find themselves all over our incredibly diverse island. Second is that outside of the immediate resort-area congestion, drives on Maui are not boring commutes like they are back home – virtually every drive is incredibly scenic, and more often than not, drives to a specific destination serve up unexpected and enjoyable tours en route. This is especially true on the North Shore, and outside of the more developed ares, because open view planes show off Maui’s vast geographic diversity. – It takes around 10 minutes more to drive to either resort area from the North Shore than it would staying in one resort area and driving to explore the other (a must-do!) A straight drive, it takes about 30 minutes to reach Kihei from Paia, and about 50 minutes to reach Lahaina from Paia. 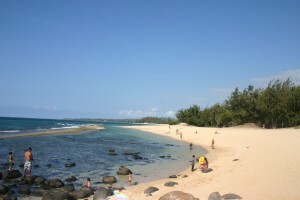 The North Shore has many uncrowded, dramatic and beautiful beaches. Surfing, sunbathing, swimming and world-famous surf spots are plentiful. The biggest wave surfed in the world most years is at Jaws in Peahi. 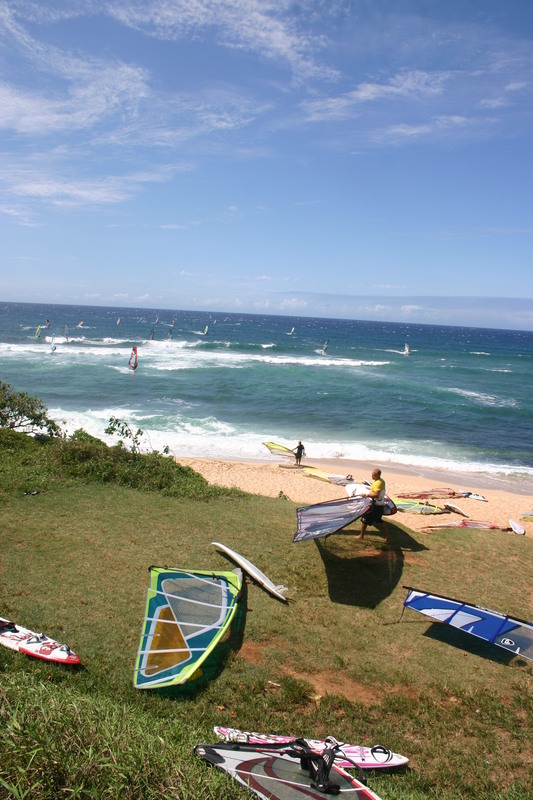 Hookipa is Mecca for windsurfers around the world. Kanaha is the most popular place to learn windsurfing, and Kite Beach is where the sport of kitesurfing was literally invented! All are found on Maui’s North Shore. 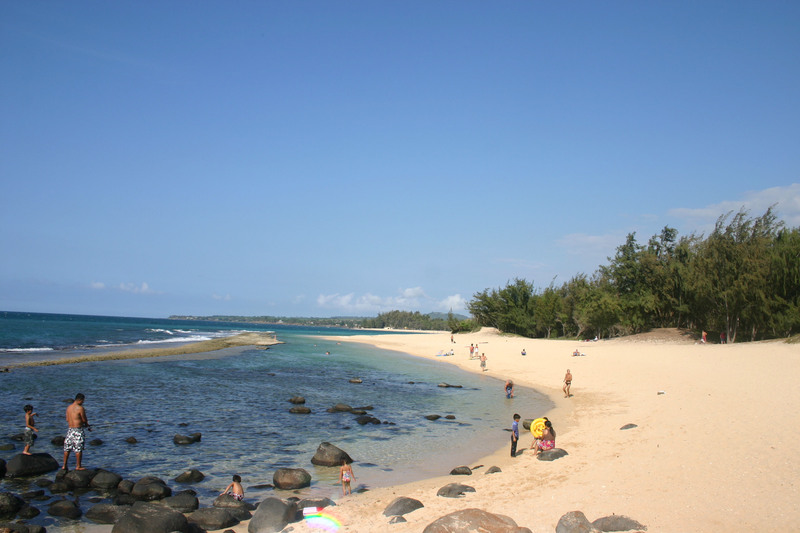 Most tourists will drive right by these beaches – if you don’t decide to stay on the North Shore, you should still consider setting aside at least one day to explore a couple of these these great local beaches. Great for kids, lap swimmers and beachcombers. Also very scenic. You can watch some of the best windsurfers in the world here. Also has very regular surf breaks. Calm cove, great for escaping the wind when the sand is blowing! 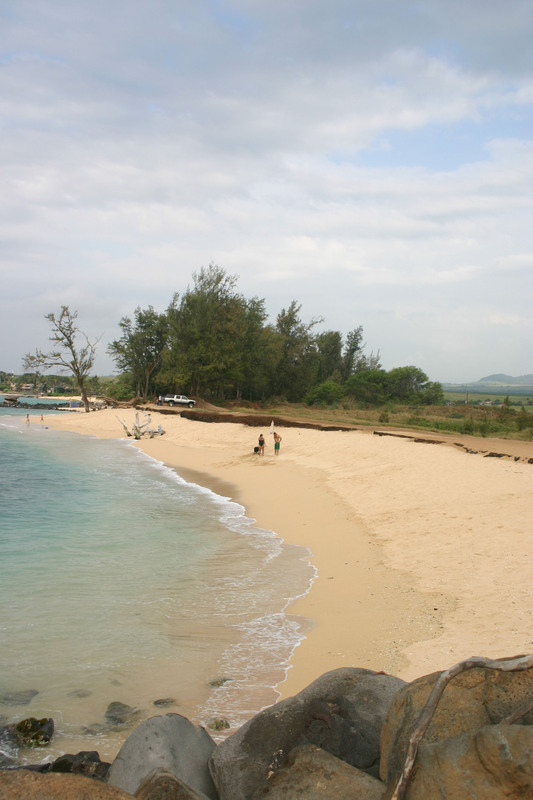 A long, sandy beach with plenty of parking, lifeguards and facilities. Popular with locals. Good surf break, too. A small tidepool beach. Kids love exploring here. Great for advanced boogie boarders. Also has a good surf break. In the winter you can watch big-wave surfers defy sanity! 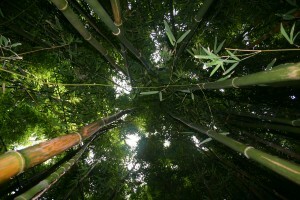 The North Shore is also where the famous Road to Hana begins, and where the transition to rainforest begins. 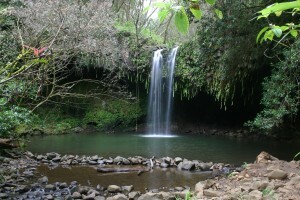 Twin Falls is the North Shore’s most popular destination for waterfalls, swimming holes and jungle hikes. The jungle scenery is diverse everywhere along the North Shore, from rugged oceanside cliffs, to sandy beaches to lush jungle. For nature lovers, staying on the North Shore can be like a vacation to the Garden of Eden. Paia Town is the unofficial capital of the North Shore, and is famous for its hippie and surfer population. Paia also has collected some great restaurants and shops filling in the 1960’s era storefronts. 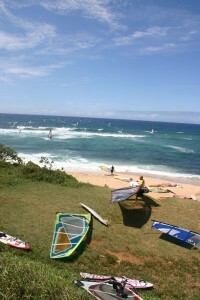 See the Paia Town article from more detail. 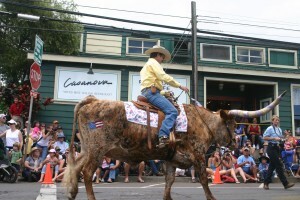 4th of July parade in Makawao Town. 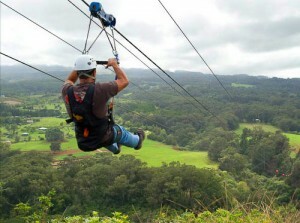 Makawao Town (technically Upcountry) is known for its rich Paniolo history. Adjacent to the North Shore, folks who stay here will pass though its main crossroads many times. 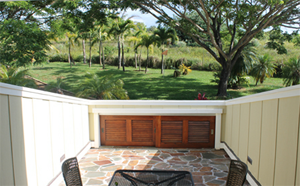 Check out the Makawao Town article from more detail. A large area of neighborhoods, farmland and estates are collectively called Haiku by most people, but the town of Haiku proper is small. In the town there is a market, a general store, a few restaurants (all good and inexpensive), a gym, a Post Office and a laundromat. Blink and you’ll miss it all, but the gym (FuzionFit) is visitor friendly, Veg Out is a great vegetarian restaurant, and there are several other tasty and affordable dining options for carnivores and veggies alike. Pauwela is even smaller than Haiku Town. Unless you stay in a rental in the immediate vicinity you probably wouldn’t drive through, but this is a great place to come if you want to rent a movie and more convenient than Kahului if you need a hardware store. The best priced and largest selection natural & local foods on Maui is on the North Shore: Mana Foods in Paia. 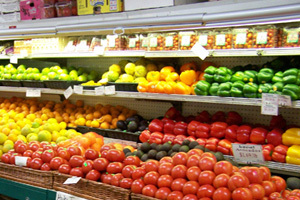 (In fact, the natural foods at Mana are less expensive and fresher than at the mainstream chain supermarkets here.) In Haiku Town there is Fukushima store and the small Haiku Market. In Kuiaha Hanzawa’s General Store has a little bit of everything. Mama’s Fish House is one of the best restaurants on Maui. Ambiance and location right on the beach is everything you imagined of Hawaii dining and more. The Paia Fish Market is moderately priced, and the food is solid. The fish market doesn’t wait on you and you need to share picnic-table style with other folks – we like to take our dinner to the beach and watch as the sun sets over the West Maui Mountains. There are plenty of other good places in Paia to eat. Cafe Des Amis gets great reviews for their eclectic selections. Their crepes and curries are so ono! Cafe Mambo also has a tasty eclectic menu. Flatbread Pizza is delicious – and a good choice if traveling with kids (they are exceedingly kid friendly.) Charley’s has great burgers, brews and bands. No North Shore restaurants require reservations (besides Mama’s), and there truthfully isn’t a bad place in the lot so feel free to try whatever looks good when you’re walking by! The short answer is: if rain is absolutely unacceptable, then you definitely want to stay in South or West Maui where the resorts are located (it’s essentially the desert!) The majority of visitors stay in hotels in the resort areas and take day-trips to Hana, North Shore, Upcountry, Haleakala, etc. Those who stay on the North Shore do that in reverse – and if the rain comes on beach day, it really is no biggie to get in the car and drive to the sun! I read somewhere that the North Shore beaches tend to deteriorate in the winter because of the stronger tides and then replenish in the spring when the tides bring the sands back. If this is so, surely it doesn’t take all the beach area, right? The only North Shore beach that has a dramatic cycle that you would see is Baldwin Beach, though loss happens over summer, not winter. The main part of the beach has plenty of sand all year round, though it does get noticeably smaller and larger to residents who see it throughout the year. The north end (“Baldwin Cove”) is the most extreme part and starts shrinking over the summer and all but disappears in late summer. The bigger surf in fall and winter return the sand. The Baldwin Cove article here has pictures of the extremes. Some resorts in West Maui are actually suffering significant beach loss that is not being replenished because of the unintended consequence of adjacent manmade shoreline hardening. It is actually an issue that people are fighting to have addressed – buildings having been built too close to the shoreline have had to build walls to protect the property. 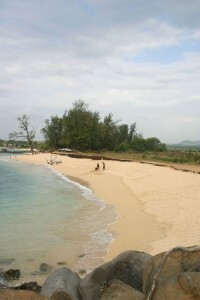 All beaches here have sand being moved by the ocean constantly, and the hardening of the shoreline prevents adjacent beaches from being replenished. Year over year Baldwin Cove has been moving inland as well, and the problem here is also caused by shoreline hardening that starts at Baldwin Cove and continues to Paia Secret Beach. In fact, there was no cove before the rock wall that forms the north end of the cove was built – 30 years ago the beach extended to the tip of the wall!